U.S. Forces-Afghanistan has begun launching precision airstrikes in Northern Afghanistan in an effort to degrade the Taliban’s revenue streams, training facilities and support networks. “Over the past 96 hours, U.S. forces conducted air operations to strike Taliban training facilities in Badakhshan province,” NATO’s Resolute Support mission said in a statement Tuesday. 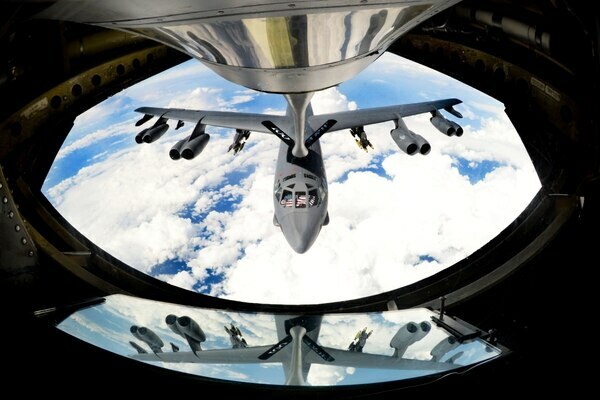 “During these strikes, a U.S. Air Force B-52 Stratofortress dropped 24 precision-guided munitions on Taliban fighting positions, setting a record [for] the most guided munitions ever dropped from a B-52,” according to Resolute Support. The strikes were focused on a region that shares a border with both China and Tajikistan. Recent reports out of the region by the Agence France-Presse indicate Afghan officials are in talks to build a new military base along the Wakhan Corridor, a remote and mountainous area bordering China’s Xinjiang region. “We are going to build it, but the Chinese government has committed to help the division financially, provide equipment and train the Afghan soldiers,” Afghan Defense Ministry spokesman Mohammed Radmanesh told AFP. It is not clear whether China’s Afghan security concerns were a motivating factor in pushing the bombing into the region. However, the strikes did eliminate old equipment the Taliban pilfered from compromised outposts. “The strikes also destroyed stolen Afghan National Army vehicles that were in the process of being converted to vehicle-borne improvised explosive devices,” the statement read. An Afghan police outpost located in Badakhshan province surrendered to Taliban fighters in July 2015, with roughly 100 police joining the insurgent group after giving up their fighting positions. “No reinforcements were sent to help the police at the base for the past three days, when they were under the attack and finally they had no option: They had to join the Taliban,” the head of Badakhshan’s provincial council said immediately after the incident. The jockeying includes engaging the Taliban and leading a new diplomatic effort to tackle Afghanistan's future, all while Washington leaves the world guessing on its strategy for ending the conflict. The most recent set of strikes is part of the U.S. campaign to degrade the Taliban’s support network throughout the country, which includes airstrikes against drug labs in Helmand province. The Defense Department has hailed the airstrikes as the beginning of a crippling offensive against the Taliban, who are known to tax drug traffickers. However, some researchers, as well as the Special Inspector General for Afghanistan Reconstruction, have raised doubts about the reported amount of cash the DoD claims it is denying the Taliban. “What number is used is fundamental and, of course, because the labs are being destroyed in Afghanistan itself, it has to be much lower than if interdiction took place, for example, in Britain or Pakistan,” Vanda Felbab-Brown, a senior fellow at the Brookings Institution, said in an interview with Military Times. Resolute Support officials also stated that airstrikes in Kunduz province helped to prevent Taliban fighters from capturing Kunduz City. U.S. officials point to the Taliban’s failure to take the city as an indicator of the militants’ inability to meet objectives. In its statement, Resolute Support noted that the Taliban “did not capture a single provincial capital, despite repeated boasts and attempts” to do so in 2017.